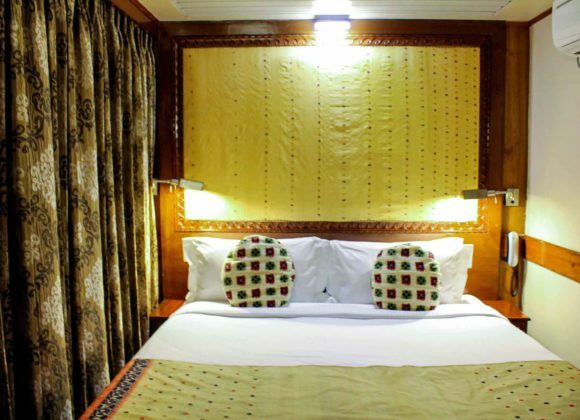 This is a new cruising sector of Indo-Bangladesh. 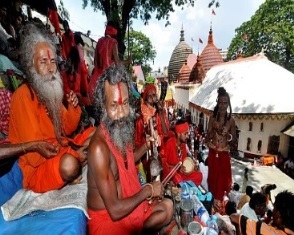 Enjoy the trans-boundary landscape of lower Assam—Bangladesh—and southern part of West Bengal an ‘off the beaten path’; a fresh experience on the deliciously lush landscape of multiple hues of greens where more than 700 rivers braid through the country. Transfer Guests to MV Mahabaahu at Botanical Garden Jetty. We sail with the tide towards Namkhana and beyond towards Sundarbans. 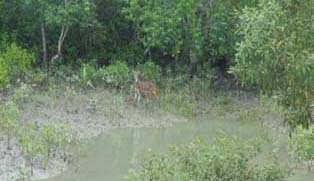 We use a local boat to cruise into the silent creeks and observe the mangrove fauna and flora. We visit the Mangrove Interpretation Center for people and their lives entwined with the mangroves. 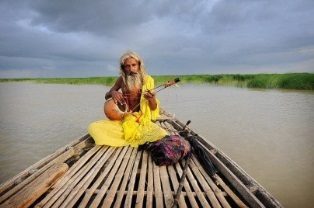 Enjoy an absorbing evening watching Bono Bibir Pala (A folklore of Sundarban) and Live Baul performance (Folk Music). Before breakfast walk through the villages to experience local rustic life. After breakfast enjoy local boat trip inside the creeks. Lunch on board and Sail towards Hemnagar for custom formalities and sail towards Aungtihara. Shahaber Agla (BGB) and Chilmari for Pilot. 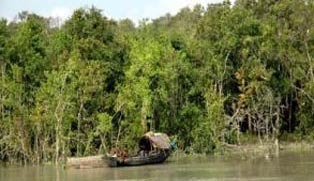 Half day sail through the Sundarbans. 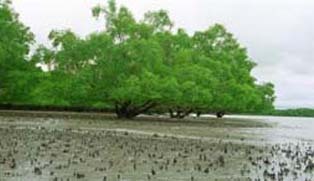 India Bangladesh Border Waters with Mangrove fauna and flora on either side. 06:00: Jorshing to Chalna (7 / 8hrs) & Chalna to Kotka wildlife sanctuary (7/8hrs). A day of sailing through the Sunderbans. 20:00: Arrive at Kotka. Anchor the ship near the Forest office. 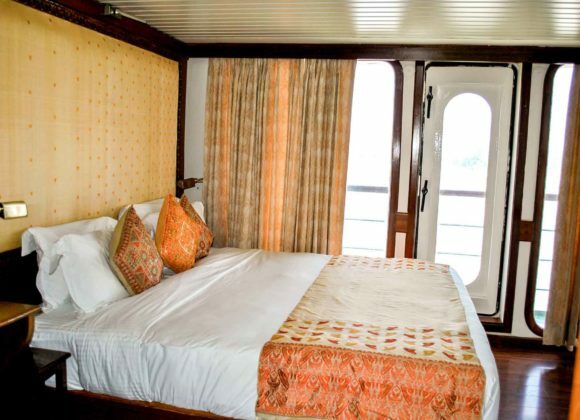 05:30 – 07:30: Cruising by Tender inside narrow creeks to see wildlife and to feel the mangrove eco-system. 09:00 – 11:00: Nature walk behind the Kotka forest office. 14:00 – 16:00: Climbing Watch Tower, exploring Jamtola beach and discover ‘Fresh Pugmark’ of Tiger. 16:00 – 20:00: Ship will cruise to-wards Harvaria Forest Station. 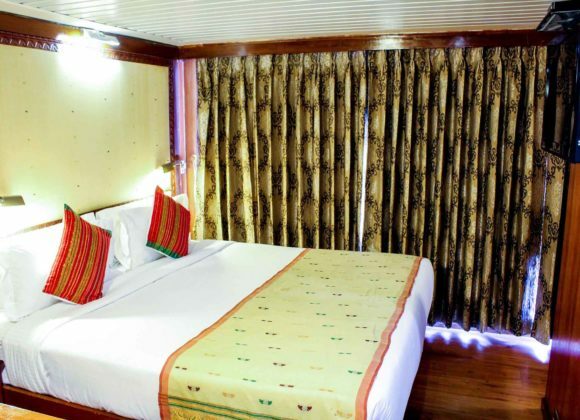 Enjoy the cruising through the rivers inside the Sundarbans. 12:00 – 13:30: Lunch on board. *The ship will sail through Shushuk ( Gangetic River Dolphin) sanctuary to witness this very rare dolphin in their natural habitat. *Experience amazing Fishing technique by trained Otter, dating back to 6th century. 14:30 – 16:30: At Mongla, visit the UNESCO World Heritage Site Sixty domes mosque’, a 15th century Mosque, Tomb of Khan Jahan-builder of the Mosque. 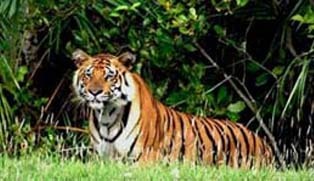 10:30 – 12:30: Climbing watch tower, jungle safari through the Jamtola beach, for wildlife sighting and FRESH PUGMARK OF TIGER. 17:30: hrs Back to the ship, afternoon Tea/Coffee, Snacks. 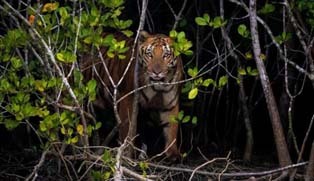 18:00 – 19:30: *Talk on Tiger / Sunderbans, Film clips, presentation followed by Q/A session. *Presentation on human activity inside the Forest followed by Film show on Wild-honey collection. *A silent Country-boat trip at night to experience SILENCE & SOUNDS of the night forest for curious participants. 07:30 – 08:30: Visit Shrimp & Crab market. 08:30 – 13:30: Mongla to Barisal. 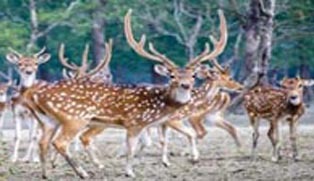 Note: During the cruising we will pass through the rivers and mangrove forest will be on both sides + spotted deer, monkeys may be seen from the ship. If lucky you can come across Crocodile. 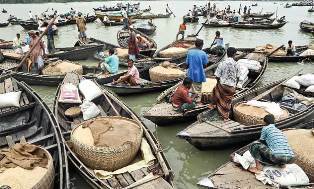 06:00 – 10:00: visit Floating market. 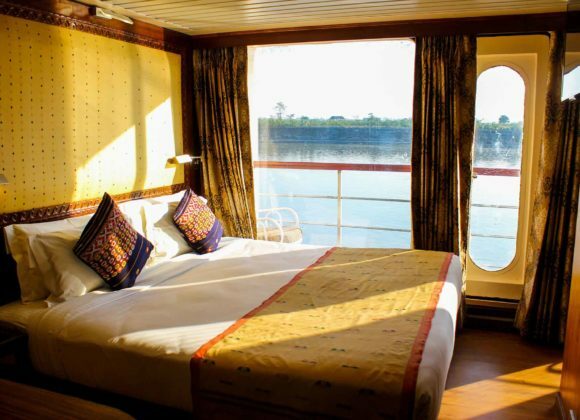 18:00–18:30: Back to the Cruise Ship Sonargaon belongs to Narayanganj, one of the first and oldest capitals of Bengal. 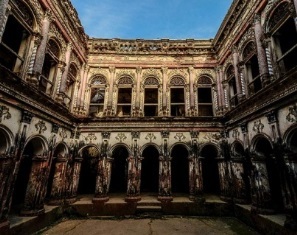 Sonargaon was known as ‘The City of Panam’ and was a focal part of the renowned Deva Dynasty until the thirteenth century. 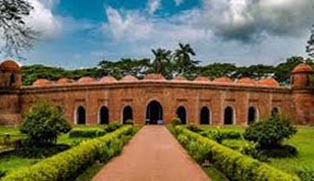 After the thirteenth century Sonargaon was made Secondary capital of the Sultanate of Bengal. The Goaldi mosque in the Goaldi village is a wonderful example of a mix of Indian, European and Mughal architecture. 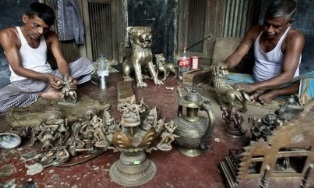 The Folklore museum houses a variety of artefacts from all over Bangladesh, representing the many cultural groups that exist in the country. 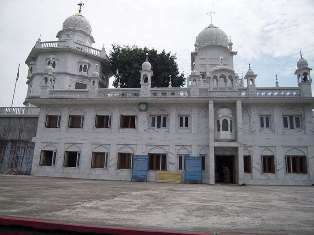 Next visit Barodi ashram to see and pay rituals to the great Sri Sri Loknath Brahmachari followed by lunch. 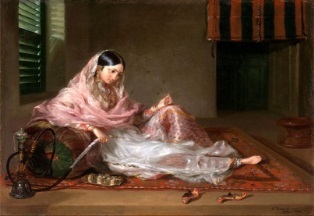 Then drive to Noapara – Jamdhani weaving village, where the whole village is engaged in the craft. 11:30 – 12:00: Visit National Martyr’s monument-built in memory of millions who sacrificed their lives during the Liberation War in 1971. 12:30 – 13:30: Lunch at a local restaurant. 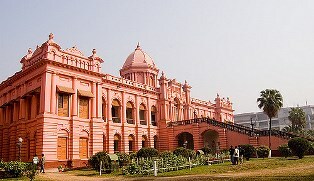 14:00: Drive to -wards Dhaka city, visit National Assembly building from outside, which is a masterpiece of architecture designed by the celebrity Architect Louis I Kahn. 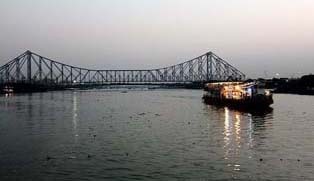 07:00 – 08:30: Sadarghat river port, one of the largest river port in the world passing around 150,000 passengers every day. 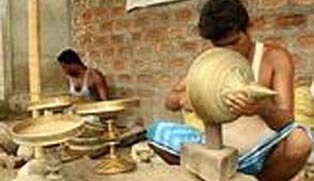 09:30 – 10:30: Shakhari Bazar/Hindu Street Artisans here make bangles from Conch Shell , which are worn by Hindu ladies as a sign of being married women. 13:30 – 14:30: Lalbagh Fort, 17 century Mughal Fort started by Prince Mohammad Azam and handed over to Shaista Khan, Governor of Dhaka, who didn’t finish it because of death of his daughter Pari Bibi whose tomb is inside the fort. There after drive back to the Ship. 15:45 – 16:30: Chawkbazar, This area takes a festive look with different kinds of food items during Ramadan. 10:00 – 12:00 Talks on Bangladesh & Tourism industry. 12:30 – 13:30 Lunch on board Sailing continues. 18:00: Arrival at Sirajganj via Chandon Boissha completing Bunkering/Pilot change. 18:30: Offer visual Presentation on Bangladesh followed by dinner. Early Morning cruising from Chilmari to Dhubri for custom clearance formalities at both ends. Visit Asharikandi Village for Clay pottery and Terracotta Crafts. Walk through the village community of Kumhars and Hiras who use the Hiramati soil to shape the pots and idols.